Safety lock lid with pressure release valve. 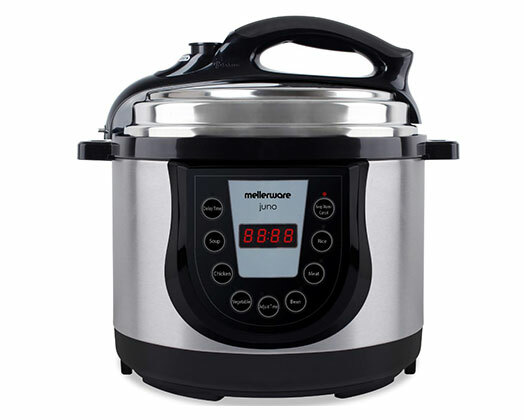 Digital display with preset cooking function. Non-stick, easy to clean inner pot.